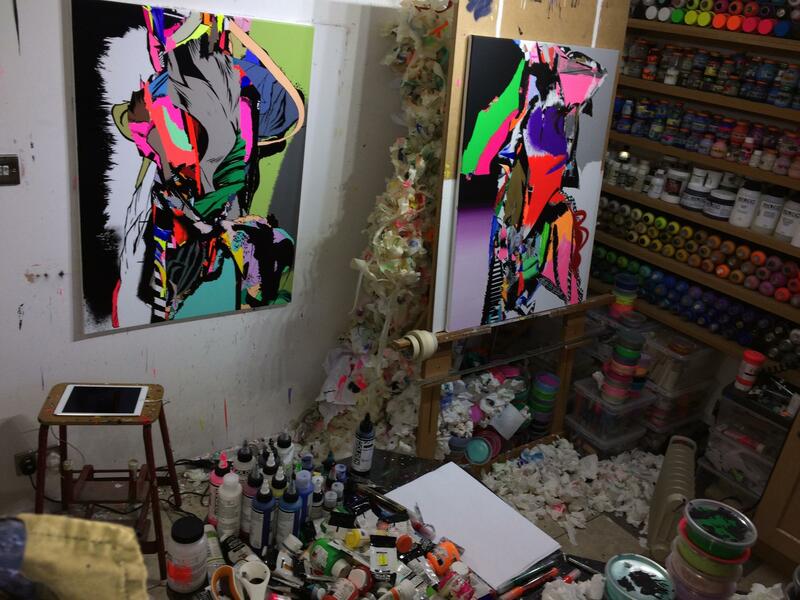 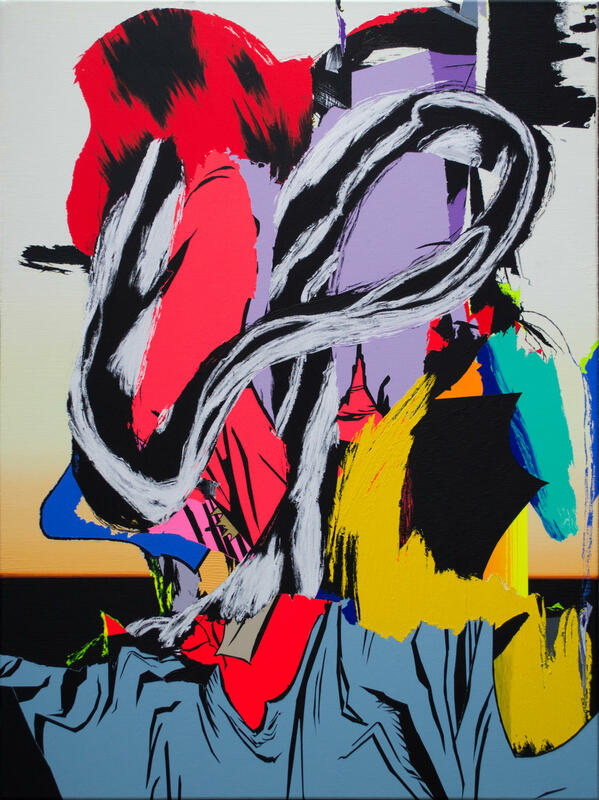 Born in London, Cain Caser is also an artist who got his start as a graffiti writer at age 12. 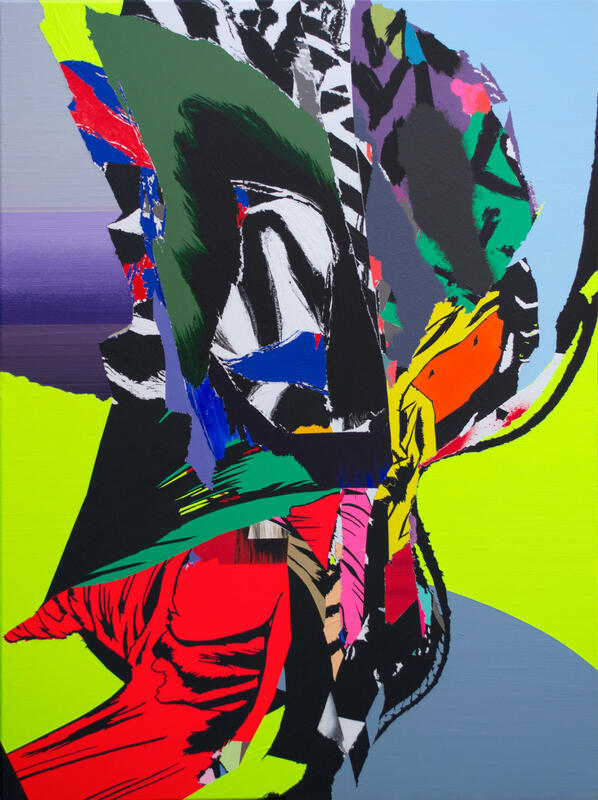 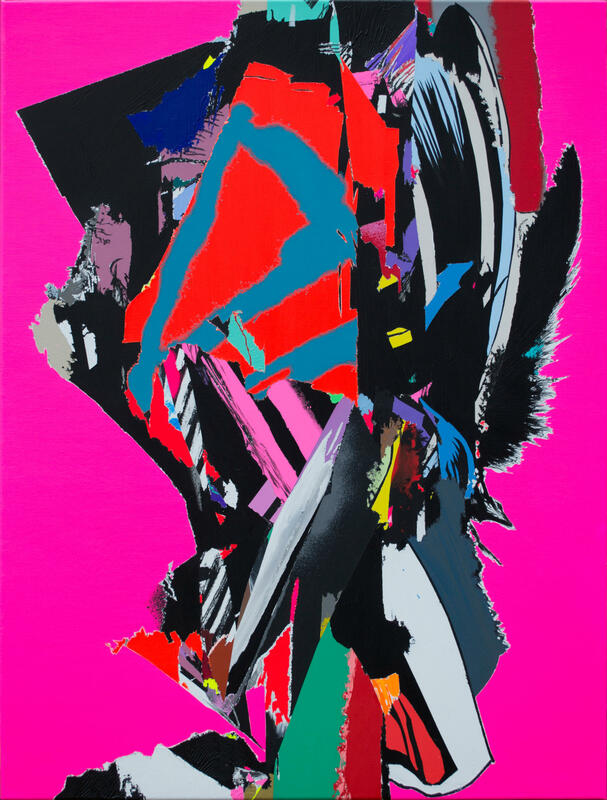 Caser started painting inside the studio in 2010, where he creates “Hypnagogic Portraits” that employ bright and intense colors to create a geometrically abstract reference to a figure. 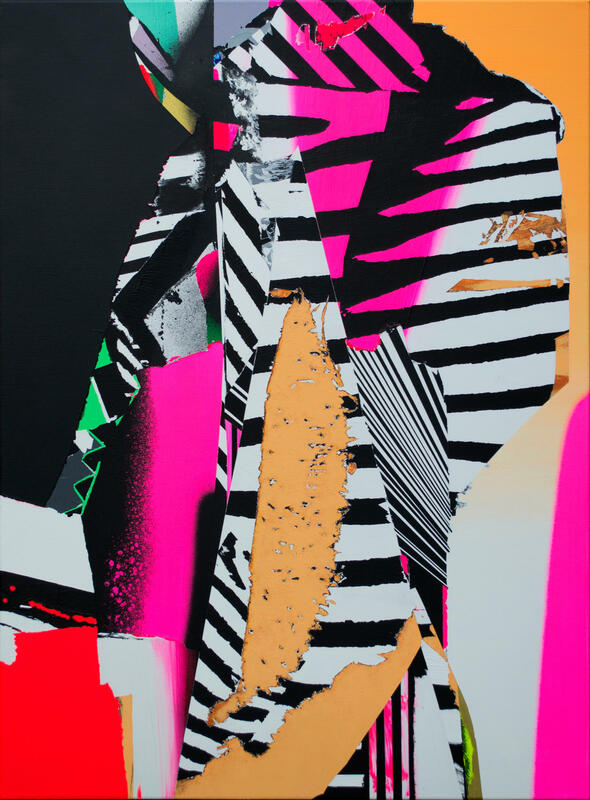 Through methods of collage, Caser cuts up works on paper to create a sketch or “maquette” that he then translates to the canvas. 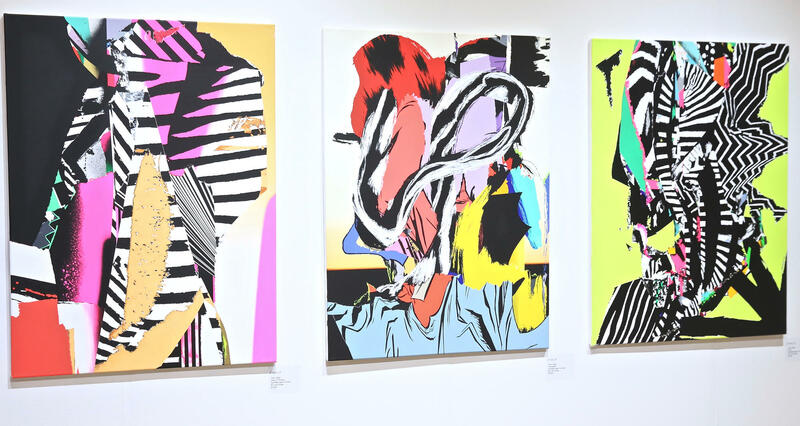 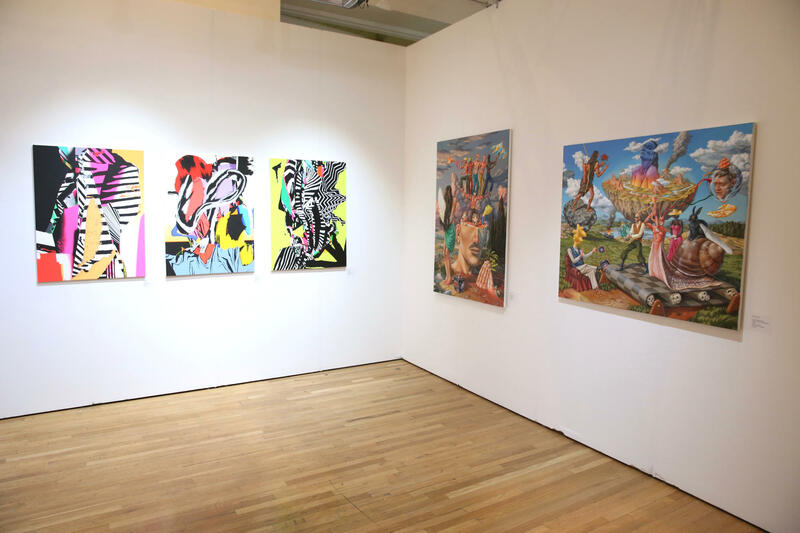 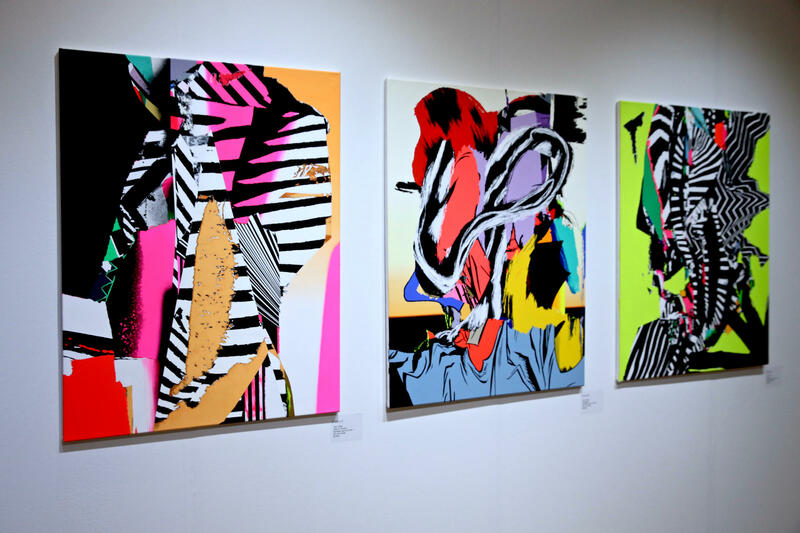 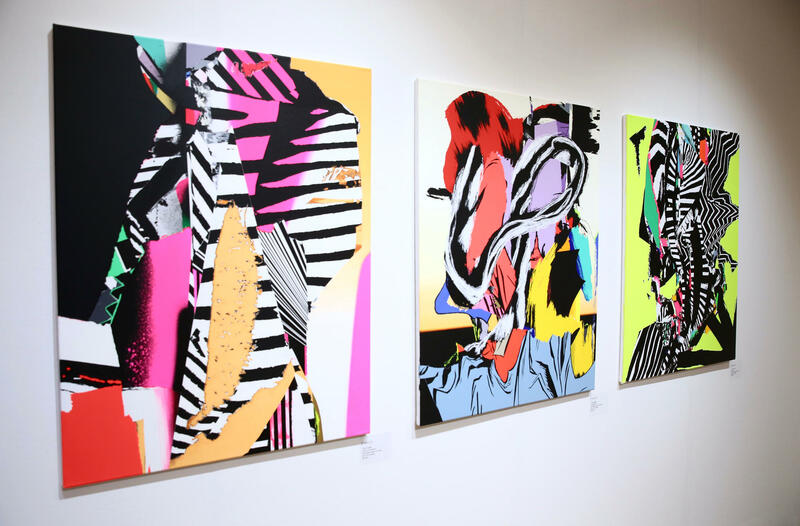 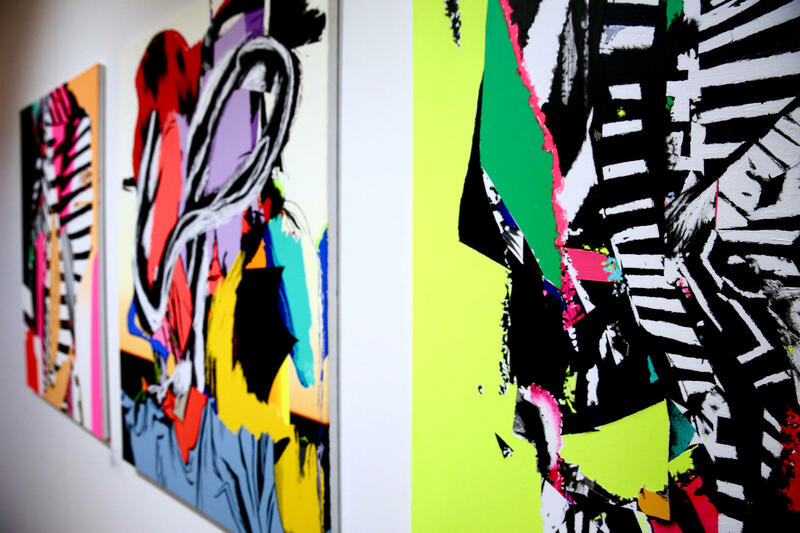 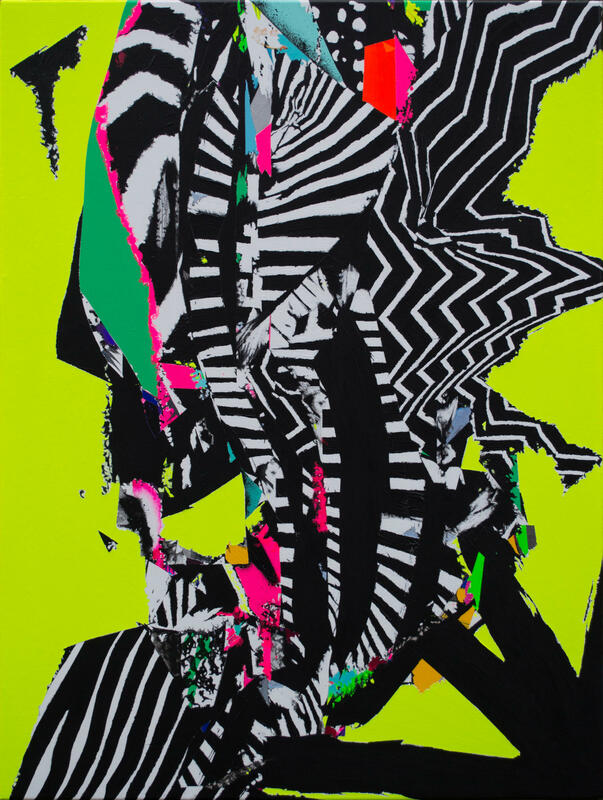 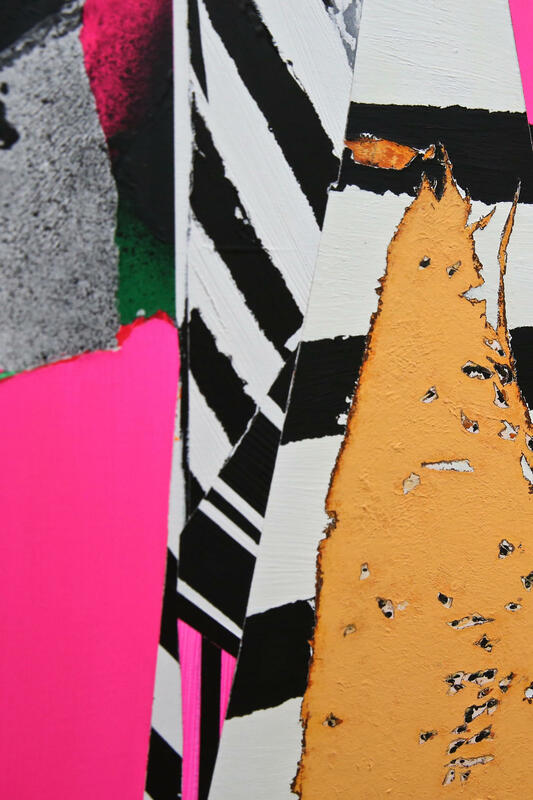 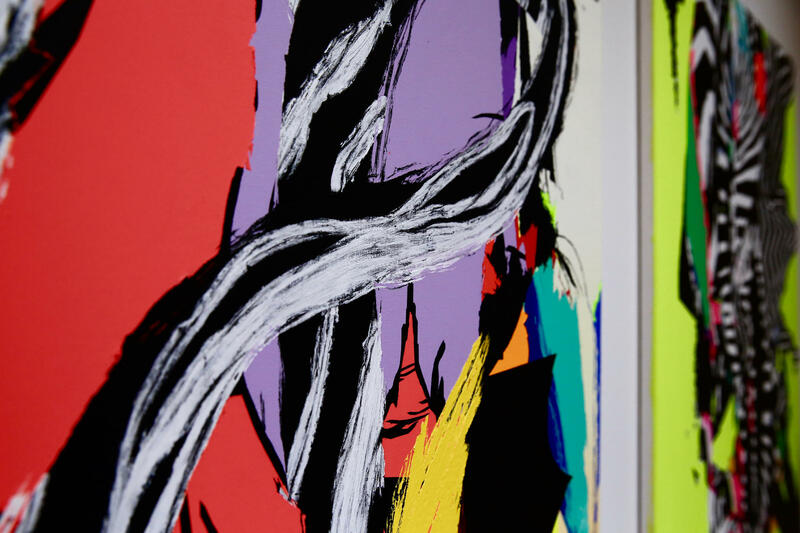 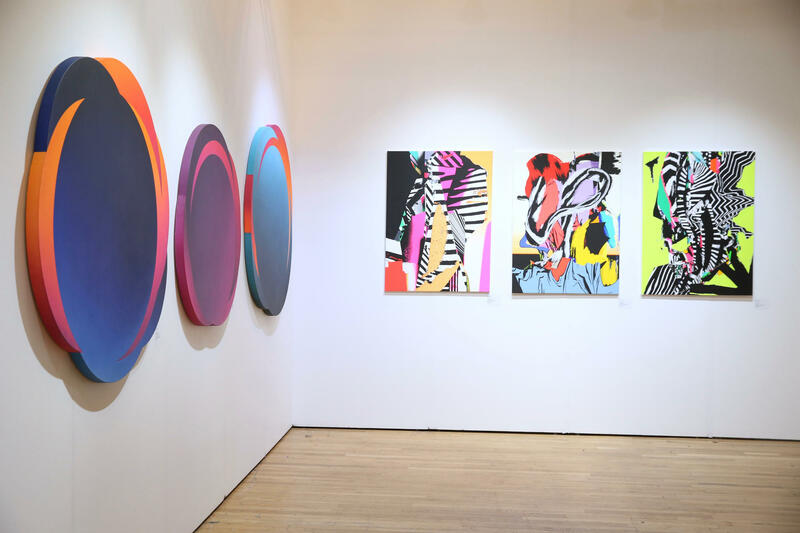 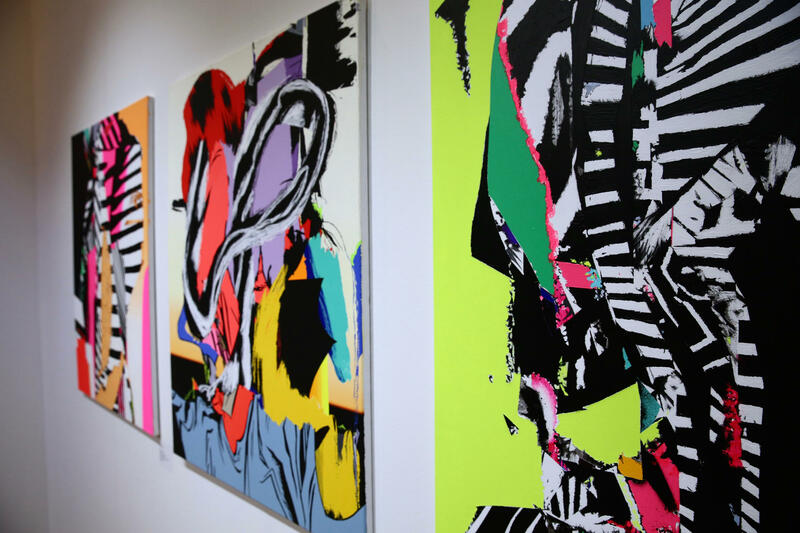 Caser sees his artwork as influenced by both his experience as a graffiti writer and also his time immersed in rave culture in his late teens.